Welcome to Springtime! After a crisp and seemingly lengthy winter, how refreshing is it to bask in some long-awaited sunlight? From the team at Vic Rajah Family Lawyers we wish you all the best for an active and fulfilling Spring. As our days become longer and warmer and our gardens once again blossom, it is apparent that change is in the air (and not just for those afflicted by pollen-related allergies)! Australia has a newly-minted Prime Minister, the Hon. Malcolm Turnbull MP who has pledged to lead an innovative and reformist Government. As part of its list of priorities, the Commonwealth Government has placed family law-related issues squarely on the legislative agenda. In one of the Prime Minister’s first major actions, key steps have been taken to address the scourge of family violence. In the Autumn 2015 edition of Family Law Solutions, we highlighted the efforts of Australian of the Year, Rosie Batty in raising awareness about the prevalence of family violence in our society. Shortly after the announcement of these reforms, the Australian Government refused to grant a visa to US singer Chris Brown who had been convicted of domestic violence related offences against his former partner, singer, Rhianna. Coincidentally, Victoria’s State Coroner, Judge Ian Gray delivered his findings into the death of Luke Batty. In concluding that Luke’s death was a deliberate act engineered by his father, Judge Gray also recommended that perpetrators should have regulated mental health assessments, police and child protection agencies should have better information sharing processes and the police needed to reduce delays in laying family violence charges, serving intervention orders and executing warrants. These recent actions reveal a Prime Minister who is not afraid to embrace change and questions abound whether the marriage equality debate will be fast-tracked as part of the national agenda. Attempts by the previous Tony Abbott-led Government to increase filing fees in the Family Court and Federal Circuit Court (symbolised by an increase in the divorce filing fee from $845 to $1200) were twice rejected by the Senate. Due to a funding shortfall for both courts, this shapes as a challenge for the Turnbull Government in determining whether a third attempt will be made. On our own front, we farewell Honorary Consultant, Dr Fiona Kelly, who was recently appointed to the position of Associate Professor at La Trobe University law school and we thank her for her contribution to the practice. Firm Principal, Vic Rajah was recently invited to present papers to Masters students at the Advanced Family Law program conducted by the College of Law. 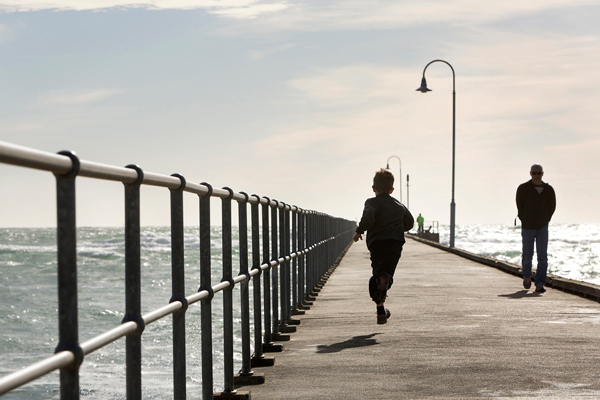 He has also collaborated with the esteemed barrister’s clerk, Pattersons List to present a topical paper on ‘Setting aside Financial Agreements’ in a recent presentation to lawyers from the Mornington Peninsula Lawyers’ Association. Managing Clerk, Robert Patterson of Patterson’s List with Firm Principal, Vic Rajah. At Vic Rajah Family Lawyers we field a number of enquiries from clients seeking annulments. Unfortunately this is often attributable to the stain of a bad marriage and clients being misguided believing that they have a ‘try before you buy’ option available to them. Invariably, we will need to break the news that divorce is their only option. Although the law does allow for a court to annul a marriage, applications of this nature are rare. A declaration of nullity is a finding by the court that there was no legal marriage between the parties, even though a marriage ceremony may have taken place. The grounds are limited and must be supported by strong evidence. Due to the cost and simplicity of obtaining a divorce which many parties can apply for without seeking legal assistance, the option of obtaining a declaration of nullity is not appealing to many. A divorce is the legal ending of a valid marriage. There is only one ground, irretrievable breakdown and this can only be proved by 12 months separation. A court must also be satisfied that arrangements for the care and welfare of the children of the parties or either of them (under the age of 18 years) are fit and proper. A decree of nullity is a finding that the marriage was void and that there never was a valid marriage. Age of Parties: Either of the parties is not of marriageable age. A Court will not declare a marriage invalid based on the non-consummation of the marriage, the parties not having cohabitated, family violence or the lack of compatibility. To get married in Australia there are formal requirements. The ceremony must be conducted by a clergy or registered celebrant. There are formal requirements about the paperwork to be supplied and as to notice and the witnesses present. However a failure to comply may not invalidate the marriage. A marriage celebrated overseas will be recognised as valid in Australia if it was a valid marriage under local law. Even a polygamous marriage will be recognised provided it was legal in the country where it took place. Some religious faiths have their own rules about invalidating a marriage made under their faith which may not accord with the relevant law of Australia. Although of no legal merit, parties may need to consider the implications if they subscribe to those faiths and wish to remain a part of the communities bearing those rules. Annulment cases are a specialised aspect of family law and require considered assessment based on the facts of the case. 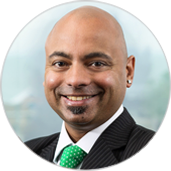 Firm Principal, Vic Rajah is a skilled operator who is able to guide clients depending on their individual circumstances. Problem gambling is an issue that affects many Australian households. The epidemic of gaming (poker machine) venues sprouting across the nation, casinos based in Australian capital cities boasting record revenues, coupled with the widespread accessibility of on-line bookmaking and wagering services has seen Australians gambling at levels never previously experienced. As we enter the Spring Racing carnival having completed the AFL and NRL seasons, Australians are expected to spend more of their incomes on betting activities. One of the challenges that often arises between separating couples is the preservation of property. What happens when savings are dwindled, shares and items sold and debts amassed via credit cards, personal loans or mortgage re-draws to fund gambling activities? When determining a property settlement between the parties after separation, a court can look at a number of relevant factors to determine what is just and equitable. One key issue may be the wastage of property by a party of the marriage or relationship. Wastage occurs where one of the parties’ actions has caused a financial loss to the asset pool. one of the parties has acted recklessly, negligently or wantonly with matrimonial assets, the overall effect of which has reduced of minimised their value. In working out property settlements, the first step involves identifying and valuing the property of the parties. Where gambling has occurred and it could be established that this had recklessly, negligently or wantonly diminished the asset pool, courts were previously inclined to add back the monies ‘wasted’ by one spouse to the pool of assets. The question which would arise was whether assets or monies no longer in existence should be ‘notionally’ added back into the asset pool. Whilst this would allow the asset division to take place on a fair basis with a reduction in the share of the wasting party of the remaining assets, the artificiality of this exercise has been called into question. ‘Notional property’ was adopted by courts as a creative way to minimise the injustice to the victim spouse in having to cope with the effects of a smaller asset pool due to the conduct of the other spouse. The Family Court has over the past 2 years taken a different approach as a result of two major decisions in the cases of Stanford v Stanford (2012) 247 CLR108 and Bevan and Bevan (2014) Fam CAFC 19. It appears that added-back property no longer exists and courts are now inclined to deal with wastage occasioned by gambling as a factor to consider in their discretion in the percentage division of the actual asset pool. Must I Engage in Family Dispute Resolution? Alternative dispute resolution mechanisms have been long encouraged in family law cases. Mediation and counselling services have operated for many years with the rationale being an outcome formulated by the spouse parties will be more mutually-beneficial and cost effective than a decision imposed by a court. Since 1 July 2007, participation in Family Dispute Resolution (“FDR”) has been a compulsory step in parenting cases before a matter can be taken to court. Each party is expected to make a genuine effort to resolve their dispute out of court. If the parties have made a genuine effort at mediation but the dispute has not been resolved, they will then be issued a certificate of compliance enabling them to proceed to court. FDR can cover property settlement and financial support issues however due to legislative requirements it invariably deals with parenting disputes and in some cases can be child inclusive. FDR services are provided by a range of individual practitioners (including lawyers, social workers and psychologists) or community organisations, Family Relationship Centres established by the Commonwealth Government and legal aid commissions. The requirement to participate in FDR applies to new parenting order applications, applications for alleged breaches of existing parenting orders and applications to change current parenting orders. parenting orders are being made by consent. Only accredited FDR practitioners can issue certificates under the Family Law Act 1975. FDR practitioners are expected to act impartially. Unlike counselling, FDR does not focus on the emotional nature of family relationships. Its focus is to resolve the dispute at hand. Early intervention in parenting disputes is supported by studies which have found that parents who attend mediation immediately after separation are more likely to demonstrate increased parental cooperation and focus collectively on the needs and interests of the child. This in turn will pave the way to reaching an agreement. Research further suggests that the process and outcome of mediation has a higher level of parental satisfaction when compared to litigation. To encourage open discussions and to enhance the prospect of achieving final outcomes, discussions before a FDR practitioner are confidential – save in limited circumstances, such as to prevent a threat to someone's life or health or the commission of a crime. FDR practitioners are able to guide parties to develop a Parenting Plan to set out agreed arrangements for their children. Where safety concerns exist the FDR practitioner may not deem FDR as being appropriate to begin with or may stop the process. An intake interview is undertaken which allows the FDR practitioner to assess whether the situation is manageable or not. However, if parties agree, they can participate in FDR without being in the same room (shuttle mediation). The cost of FDR depends on the individual provider. Private practitioners set their own fees and Family Relationship Centres and not-for-profit organisations usually charge according to means-tested scales. Quite often parties may require multiple sessions to effectively resolve a dispute. Prior to engaging in FDR, participants are encouraged to obtain legal advice to enable them to understand their rights and entitlements. Every family law case is different and a tailored plan relevant to one’s personal circumstances is essential. FDR is outcome driven and participants should beware that they are not making compromises to their own and children’s detriment. At Vic Rajah Family Lawyers we regularly advise clients before, during and after FDR. Where agreement is reached, parties are encouraged to have the terms documented in a legally-binding manner to prevent the risk of a party resiling from the purported agreement in the future.